When it comes to smart home devices, consumers seem to be open to sharing control and data if it means saving money. U.S. homeowners are interested in measuring and monitoring activities in the home, especially energy usage, and would share their data to receive a discount, according to new research from Parks Associates. More than a third (36%) of households said the idea of a system that monitors or manages energy usage in their home is very appealing. Slightly more (37%) said a security monitoring system is very appealing and almost as many (35%) said the same about a safety monitoring system, according to Parks Associates. 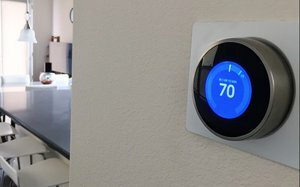 However, actual adoption of smart home products in general seems to be lower, with only 11% of U.S. households saying they now own a smart thermostat. “Consumer interest in energy systems lags behind actual adoption, and consumer awareness of utility-based energy programs has not increased substantially over many years,” said Tom Kerber, director of IoT Strategy at Parks Associates. “The smart home creates new opportunities for cross-marketing and promotion that have the potential to radically change awareness and participation in energy programs,” Kerber said. There may be opportunity for energy programs that leverage the data from smart home products, according to the researchers. More than half (51%) of U.S. households said they would share thermostat data with their energy provider if they receive a discount on their electricity bill. However, the willingness to share data appears to decrease when the incentive is not financial. For example, a quarter (25%) of households said they would share data from their smart products with a manufacturer or service provider if it improves their experience with the product. Even fewer (20%) said they would share data for product recommendations.